Watch Output Artists make their music shine with Brass Knuckles. Grammy-nominated producer in league with hip hop legends Lil Wayne, Dr. Dre and Schoolboy Q cracks open the lid on this new pack with a certified banger. Producer & keyboardist extraordinaire of Korea’s super boy band ‘BTS‘ got us feeling like summer will never end with this track powered by Analog Brass & Winds and EXHALE. Shruti Kumar is an LA-based composer/producer/arranger breaking into the scene with this funky fresh beat for Julia Nunes paired with MOVEMENT. Trumpeter Ethan Farris builds a demo track entirely from Arcade, Analog Strings, Analog Brass & Winds and the piano. 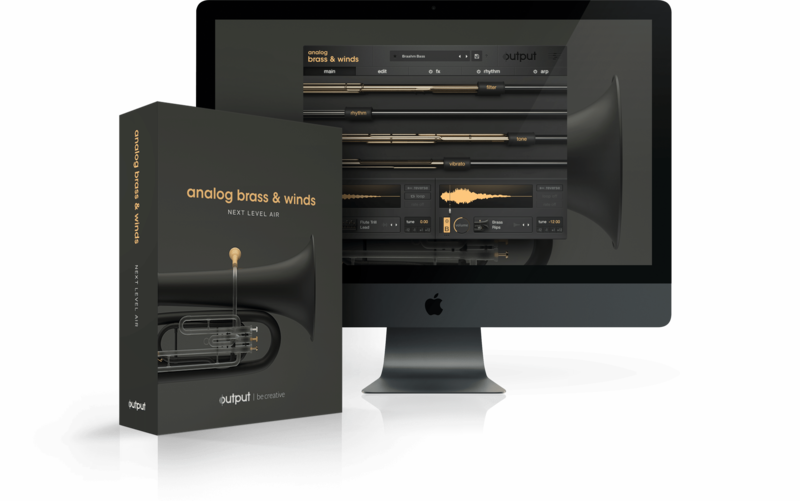 Brass Knuckles Expansion comes in strong as the low brass horn stabs blended in with Substance bass to create a rumbling low end & to add a pizzicato articulation to the beginning of the string runs for slightly harsher and more distinguishable transients.